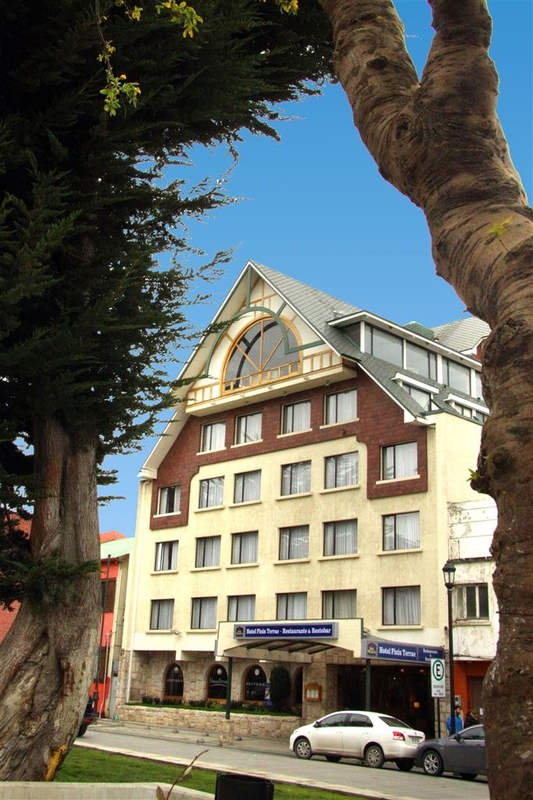 The Best Western Hotel Finis Terrae is ideally located in the center of Punta Arenas. Come and experience our hotel near the major tourist attractions. Best price guaranteed and exclusive deals. 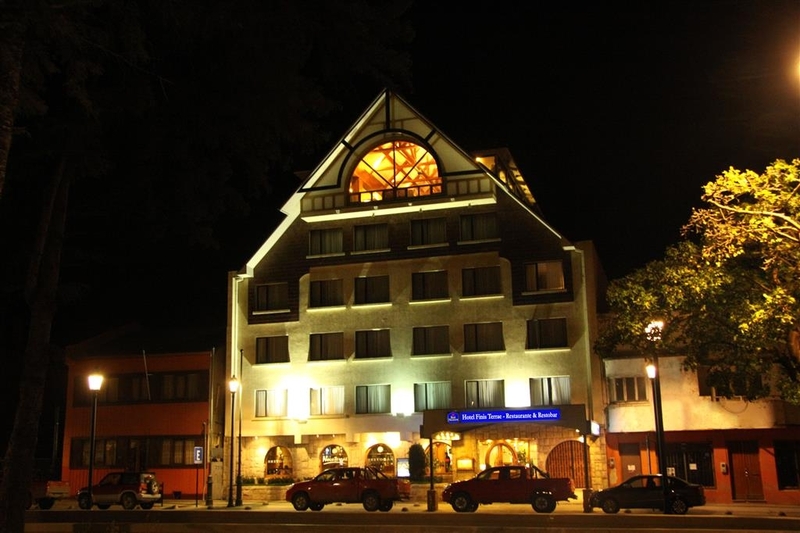 The most charming hotel in Chilean Patagonia, located in downtown Punta Arenas, with exclusive services in 64 rooms, restaurant and bar. 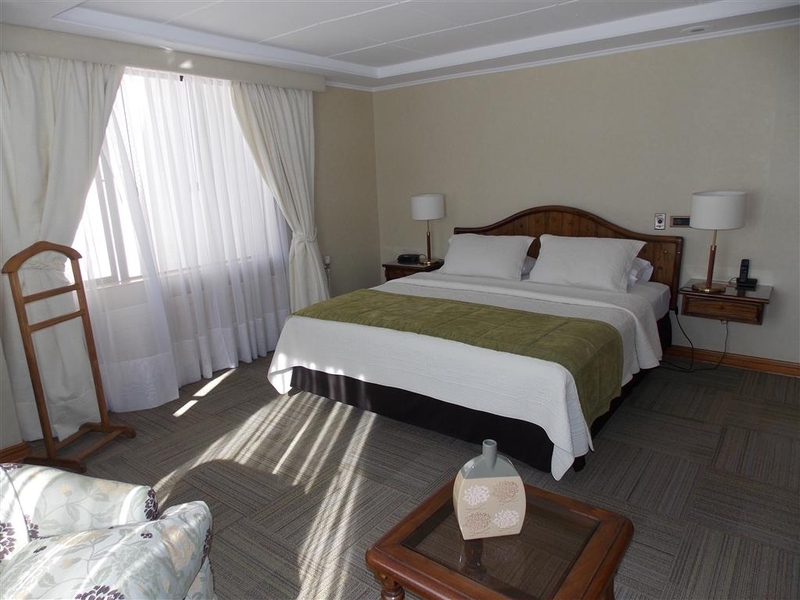 One of the most modern hotels in Punta Arenas, strategically located, invites you to visit the Chilean Patagonia, Tierra del Fuego Island, Cape Horn, Strait of Magellan, Torres del Paine National Park and Antarctic. 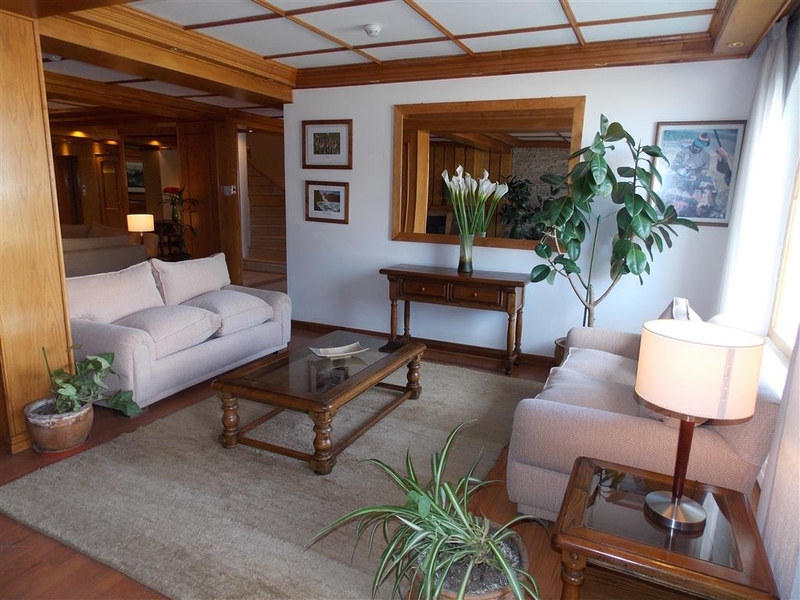 Located 20 Kilometers from the Punta Arenas Airport (PUQ). Come to enjoy our International restaurant on the sixth floor with a romantic view of the Magellan Strait, Tierra del Fuego and the city. 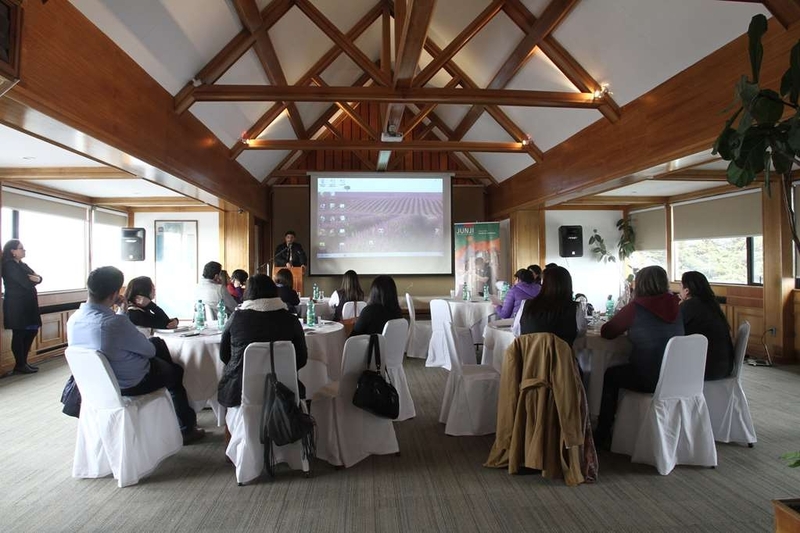 Our quality service makes us the best choice in Punta Arenas. Best Western Finis Terrae is waiting your visit! "Felt some effort to maintain 4 stars "
Having stayed in several Best Westerns, this did not meet the same standards. The staff were nice and chatty, but the room was disappointing. When walking into the hotel, the lobby is beautiful, however on arrival to the room, it is a different story. The room was small and dated - in need of a renovation. All night, the road could be heard with cars revving their engines loudly. I appreciate this is not the doing of the hotel, but the very thin windows did not help. Given the chance, I would not stay in this hotel again, in its current state. "Nice Hotel at the end of the earth!" The staff was very helpful and would find an English speaker if the conversation got too difficult. The bar and restaurant were good. You get a couple of free Pisca Sours when you check in! It's close to the museums and other cool places to go there. for this town, not really being the center of the world, I think that this hotel is the best you can get. Clean and modern room, spacious bed and a clean bothroom. Helpful staff, good location in the heart of town. "A reliable choice in Punta Arenas." I stayed here for one night from 20-21FEB2019 and had a good experience. It's not a luxury hotel by any means, so temper your expectations. The room was far from opulent, but it was clean and got the job done. It wasn't cheap, but this was high-season, so I understand the relatively high price. The WiFi was great and the location was perfect for us. We enjoyed walking around the vicinity of the hotel to points of interest in Punta Arenas. Of special note, the restaurant on the top floor had wonderful views of Punta Arenas and served reasonably-priced food and drink. We also had a bite downstairs in the ground-level restaurant and were happy not to be gauged by hotel prices. It was easy to walk to the bus station in the morning after a reasonable, free breakfast upstairs. Our only negative experience was that check-in took a really long time with only one staff member at reception. But it wasn't his fault. I would stay here again and recommend it for folks looking for a reliable place to stay in Punta Arenas! I stayed just for a quick overnight stopover but the staff were friendly and welcoming and the room was quite spacious and comfortable. A reasonable buffet breakfast was included. A convenient central location, close to the centre. This is a very pleasant mid range hotel we stayed at 3 times before and between tours. Good clean rooms, in a convenient spot close to everything. Good whale spotting from the restaurant. Staff were very helpful. I would not recommend this place if my life depended on it. I went up to the “free” breakfast to get a hot cup of coffee to bring down to my room. Later I went back for breakfast and they tried to charge me for having a second breakfast when I did not have a thing to eat the first time I went up there. The staff embarrassed me repeatedly in front a room full of travelers. Do yourselves a favor and stay away from this crummy place. It's not worth the money or the free breakfast. Staff is very rude. "buffet dinner friday evening in Panorama lounge restaurant"
"Good Hotel at reasonable price"
This is a good 3/4 star hotel in walking distance to the main square The rooms are adequate and staff are friendly and efficient.They have a cosy bar/restaurant and the breakfast on the top floor restaurant is good We had a car and the free security parking was a must for us. "Good place for overnight stay"
Our room was clean and adequate. The staff was friendly, helpful and spoke English. Location was central to the waterfront and old town. The view over the city from the restaurant was good. We were traveling to Puerto Williams and returning so this was a good spot to spend a day. We spend 3 nights in this beautiful place, really clean, and warm....trust me, that is a really important point . Amazing room, big, good bed, clean and nice size bathroom, even with a little living room With boiler, fun on the bathroom Is not the cheapest, but really good one, good breakfast, a lot of optiowhen you are so so on the south of the worldns to eat. "Okay hotel for Punt Arenas "
This is just an okay hotel for a few nights in Punta Arenas. My guess is your not going to get much better in this town. The hotel and rooms are very tired and a need of an upgrade. Rooms are small but adequate. Breakfast buffet wasn't very good. Best thing about this hotel was the location as it was in the center of town. "Good location but very average rooms "
"Served it's purpose, good location"
We stayed in Punta Arenas for 3 nights. Our days were spent on full day tours so we weren't too concerned with our hotel. Pros- - Great central location. We walked to our tour operators, shopping, restaurants. - Friendly staff who spoke English well. 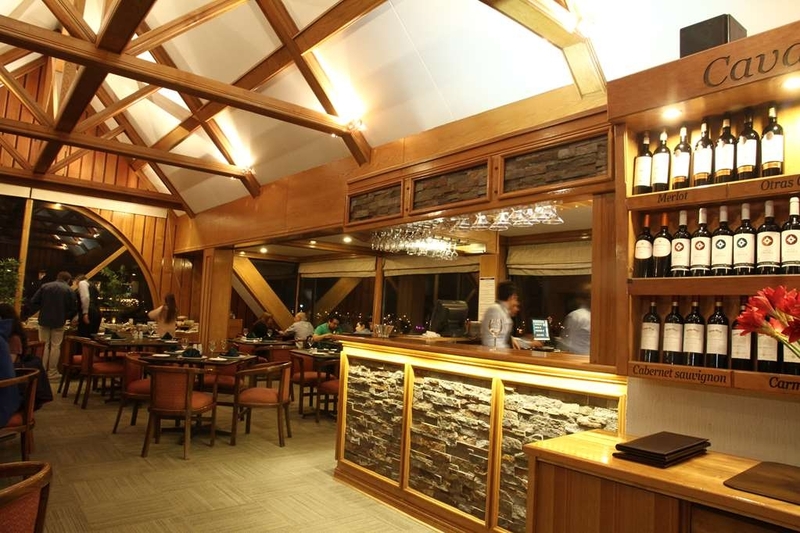 - Restaurant and bar onsite Neutral - Food and breakfast buffet were average. They weren't great but had a decent selection for the hotel. Cons - - Older hotel. Decor was dated and elevators were pretty rickety. one day the elevator went pitch black, although it was moving. Kind of weird. Credit to the staff who fixed it very quickly. - Room comfort. The bed was decent. The room did not have AC (understandable) but it was summer and the sun really heated up the room (all day). We kept the windows open, which was fine except for the noise and 50mph winds. Further, the curtains were not blackout and did not cover the entire window. When it is only fully dark for about 4-5 hours, that was important. All in all, it is not a bad choice in Punta Arenas. I was fine not hanging out in the hotel and venturing out though. Not a lot of quality choice in Punta Arenas - and this is probably the best of the bunch. Rooms not very large but bed very large. Decent breakfast buffet with good views of the city. Very helpful reception staff. 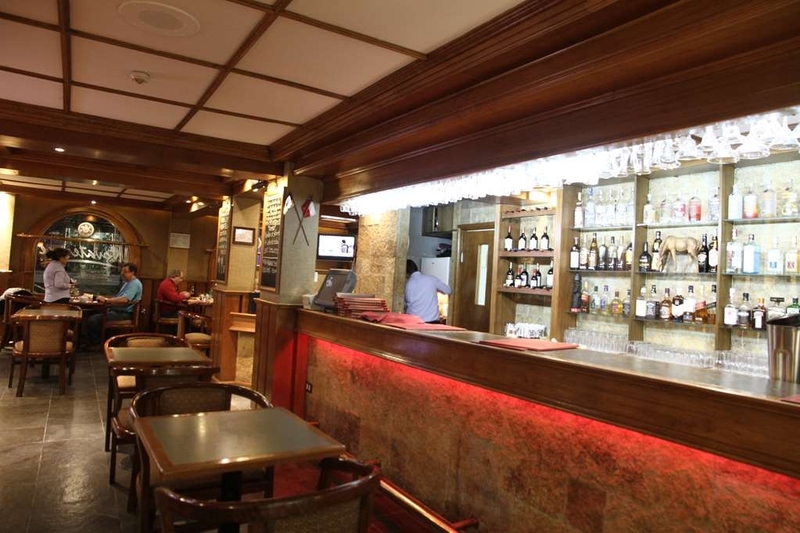 Good location, near to main square and waterfront, offering parking and restaurant and bar. The rooms were a little dated, bed comfortable, but stuffed full with furniture making it very crowded. We were located on the highest room floor, which is under the main restaurant, which created much noise, especially from the kitchen sink and water pump. 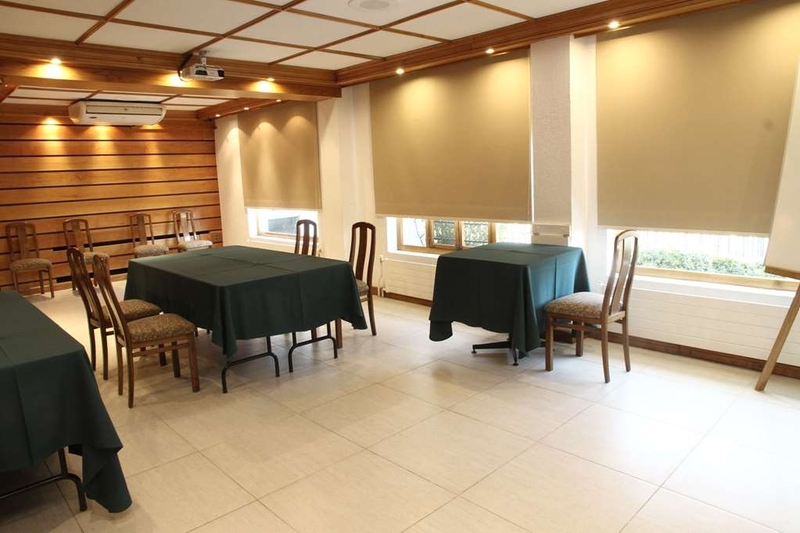 The sound proofing of the room was very poor, not only from the restaurant above, but every vehicle outside could be heard clearly, as could every guest that walked by outside the room and talked in the adjacent room. You must bring ear plugs if you stay at the Best Western. Breakfast was poor. Bread was dry, the couple of pastries were dry milk was just starting to turn sour, and there was limited hot food and fruit. The meal we had in the bar was reasonably good, and the atmosphere was lively as it was nearly full. 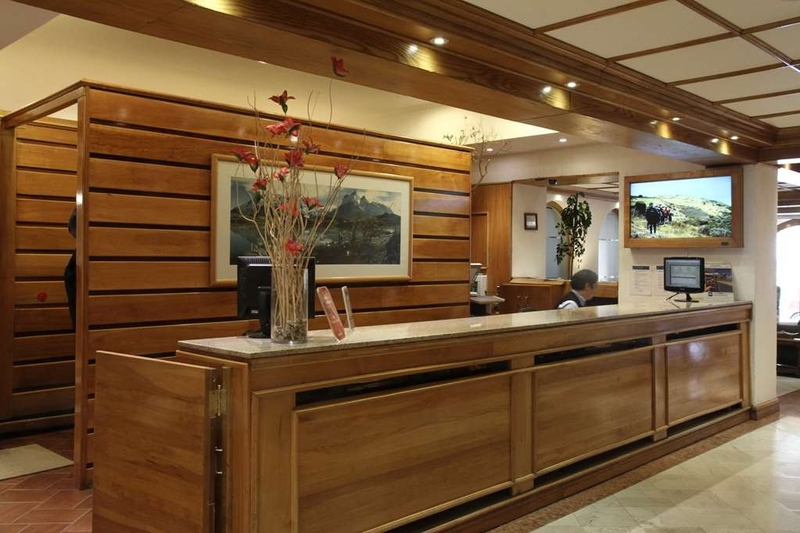 "best place to stay while in punta arenas"
best western finis terrae is a nice boutique hotel in punta arenas. it's location is walking distance to all the things the town center has to offer. the most remmended restaurant by lonely planet is just 5 minutes away. the rooms maybe small but clean and workable. 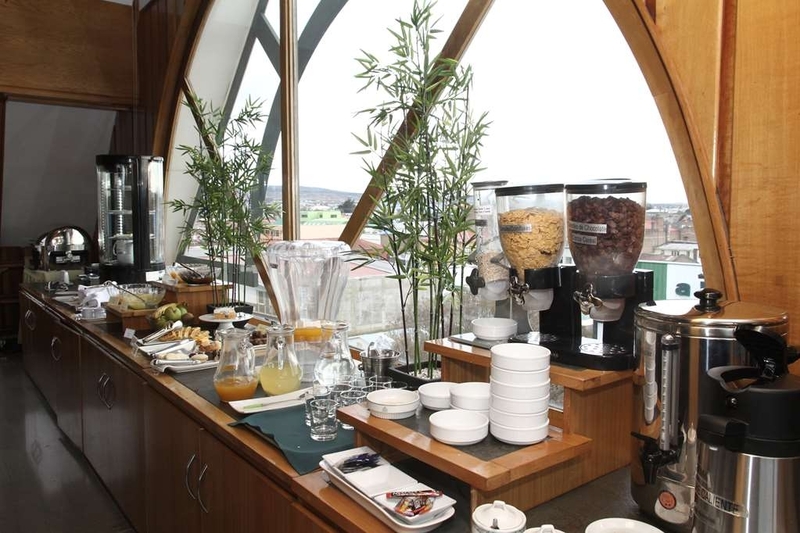 it's breakfast is on its top floor which gives you a good view of all of punta arenas. highly recommended place to stay. "Perfect location, very comfortable spacious room, helpful staff"
I only stayed one night because that's as long as I was in town, but I picked the perfect hotel. For $80 USD, this was a steal. Center of town, close to bus station, bars, restaurants, etc. And the room was terrific. Plenty of space to stretch out. I liked having the desk and some chairs on the opposite side of the room. In a way it felt like a suite almost. The desk really allowed me to get some work I needed done. There is also a business center with a printer that came in super handy to print my boarding passes out. The staff is extremely helpful. If I come back to Punta Arenas, this is where I am staying. We booked a superior double room and twin room, our hotel agent had contacted to hotel before we booked to confirm that a twin room was available, the double room was fine and large but on checking in they said a twin room wasn't available, they then came up with a standard twin room, it was tiny poor beds and smelt dreadfully, there was no way we could accept that. In the end they provided us with two rooms for the single travellers which was good. Restaurant on the top floor with good views and food was fine. 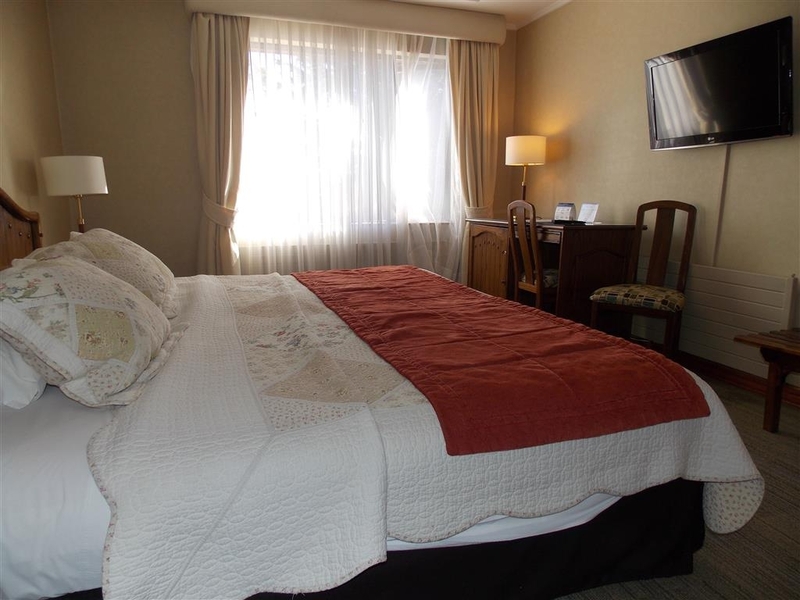 "A well located hotel with free parking"
The hotel is located in the heart of Punta Arenas and although everything is OK I have stayed in better hotels in Patagonia at a lower price. I was pleased that there was free parking but it actually proved to be a little bit of a hassle with a powered gate that a staff member had to come out in the street to open. The staff were fine but were not as welcoming as I typically found elsewhere in Chile. The room was OK but had not been completely serviced when I was given the key. Overall my stay was fine but I cannot say the hotel performance was more than average. We just loved the whole experience and unfortunately stayed only one night. 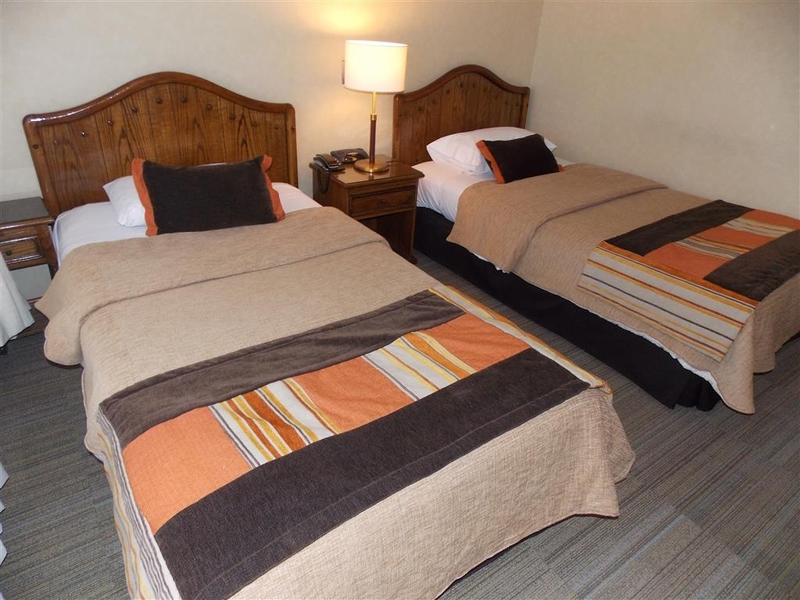 Lovely service, great breakfast, clean room with large, comfortable bed and updated bathroom. Location is good and everything of importance is in walking distance. I certainly would recommend staying there! "Great location in the town centre"
"Really Excellent. Fully recommend ??" We stayed for one night before departing for a week Torres Del Paine National Park. It is a very friendly and beautiful hotel. Very pleased and would always recommend and return when in Punto Arenas again ?????? Estimado Huésped Agradecer su preferencia y opinión. Hacemos un esfuerzo permanente para brindar la mejor experiencia posible a nuestros clientes. Esperamos recibirlo en su próximo viaja a Magallanes. It is a very fine hotel in the city. The airport is way out of the town but can be reached by taxi (5000 CLP per person). The breakfast buffet is very good with real coffee, the personnel is very friendly, there is enough space in the room and the WLAN is very fast. There is a laundry service but which is quite expensive for the usual things to wear. Overall I can highly recommend this hotel. "Average hotel but good location"
The hotel is situated in the center next to the Bus-Sur station which was really convinient when arriving from Puerto Natales. The hotel is a bit "warn out" and the restaurant looks a bit as from the 80's. Otherwise nice enough. Clean rooms, good size. The staff welcome was not overwhelming...it seemed as if would have been a better job to have if no guests har appeared...The same was the case when we asked about breakfast time at a later stage. Breakfast is served from 6 which is really good for many of the early start tours. They are not ready with eggs or extras though, it seems as u it is struggle for them serving so early. All in all an ok place to stay, but the staff needs to think about their service attitude when at work. 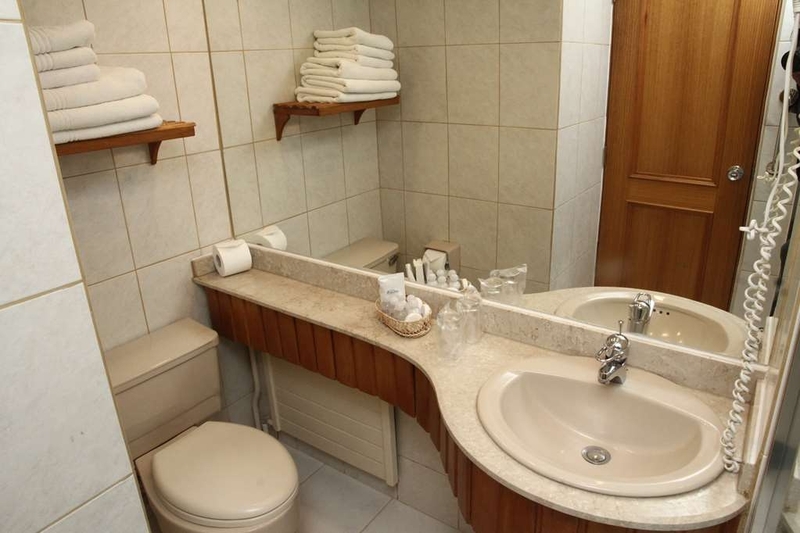 "Exceptional hotel in very convenient location"
This property hasn't been renovated in years. It has very old school furniture & finishes. For the price we paid compared to other accomodations in Patagonia, it felt overpriced. Breakfast starts at 6AM, which unfortunately was only enough time for us to grab a quick bite before walking to our penguin tour which started at 6:30 AM. The location is very good right in the center of town with easy access to restaurants & the water. Fitted out in the late 70's/early 80's, none of the decor has changed. However, all clean and tidy and nothing worn. Both our shower and sink were blocked. When we complained we just received blank looks. Breakfast was poor. It is a "make-do experience" and represented poor value. "A good hotel in Punta Arenas"
We spent four nights in this hotel and we liked it. It is well located, close the center of the town and good restaurants and close to the commercial area as well. The personal is friendly and helpful. The room was clean and had the basic necessities. There are two restaurant on premises, one on the top floor with a nice view of the city that also served the breakfast and another restaurant downstairs in the lobby. The hotel was surprisingly quiet. Overall a good place to stay. "Nice location and well maintained accommodation"
I stayed here only for 1 night before my trip to Antarctica. I chose the hotel due to location which is close to the base hotel of my trip and also because of the price. The hotel is literally in center of Punta Arenas. The hotel is in good condition. The staff at the check in counter was polite and courteous even when I arrived quite late (just over midnight). The room was good with perfect heating. I really didn't find any fault. The breakfast was on the top floor of the building with really nice views. The food was average but it did the job. Hotels in Punta Arenas are ridiculously expensive in summer so I'm glad I chose this hotel without paying crazy price. Punta Arenas is not a big town so location is not really important so you don't really have to be in the main square of town. Didn't enjoy our stay here - first night we had a room with a noisy plumbing problem that kept us awake. Then trying to grab a quick breakfast ahead of a 6.15am pickup for the Penguin tour we encountered petty service in the restaurant where the waiter was insistent that my wife could not finish her breakfast on the run - reception called the waiter in the restaurant to say our guide had arrived, but despite my wife asking politely if she could take one bread roll and a slice of cheese for her breakfast - he point blank refused. I get that restaurants don't want you taking food for a packed lunch, but this was clearly a case of a need to get going and we had paid for breakfast. The result - a bread roll in the bin and a hungry and disgruntled customer. A poor customer experience. Very friendly as well as courteous service staff. Quiet as well as clean room. healthy and rich breakfast. Very centrally located hotel. Almost all sights are within easy walking distance. Particularly interesting : many signs on the History of Punta Arenas. I stayed here for two nights before my trip to Antarctica. The room is clean and comfortable. The breakfast on the top floor is one of the best in town. The receptionist is helpful and knowledgeable. Enjoyed my stay here. "A bit outside of town, but with a nice view"
Typical chain hotel, but this is not a bad thing. Rooms sufficient and clean, very friendly staff. The hotel is not downtown but in walking distance. From the breakfast room you have an amazing view over Punta Arenas. 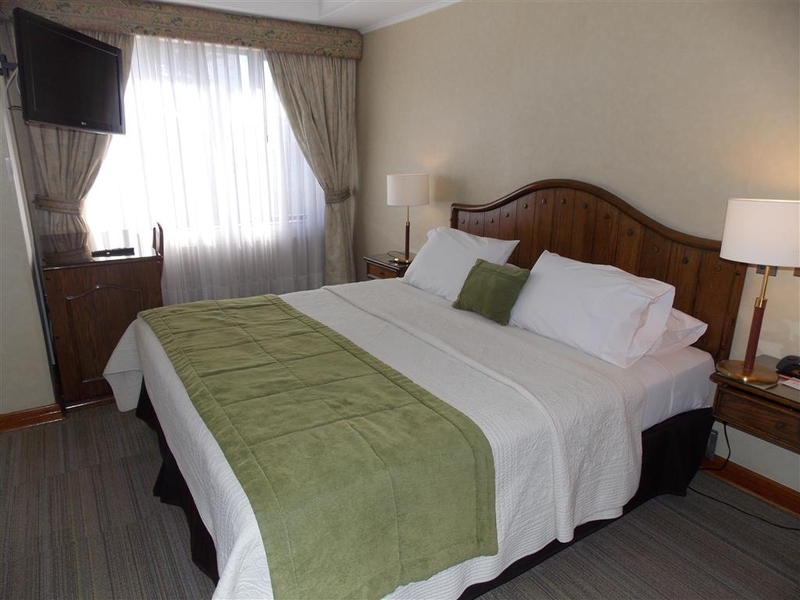 The hotel is centrally located, comfortable and clean rooms, nice breakfast included, staff were friendly and helpful. The Breakfast area on the 6th floor has am amazing view of the city and great place for breakfast. Very good location. Walking distance of central points of interest. Good size rooms. Staff were helpful though their service of simple breakfast if on very early tour wasn't immediately offered and took a bit of coaxing. It's very good value for money and can recommend. 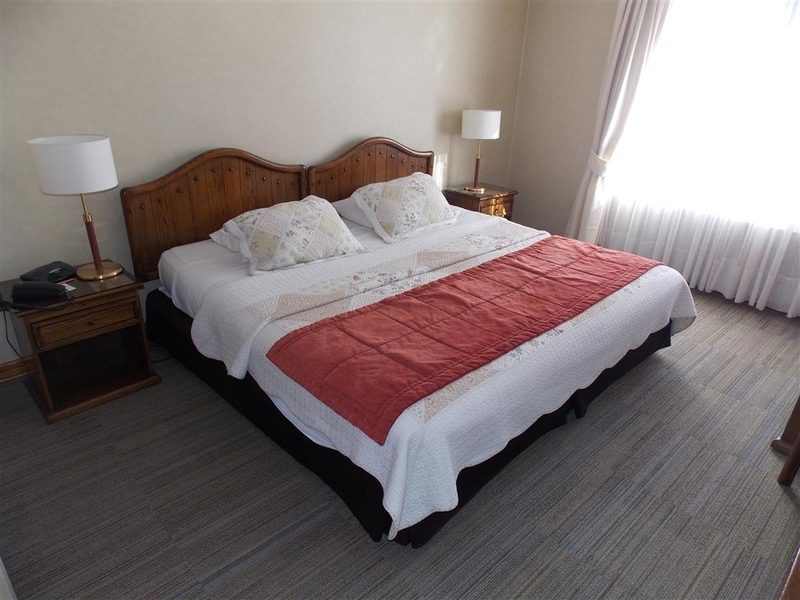 "OK for a quick stopover before drive to Torres del Paine "
Large room, good bed, annoying piped music in hallway just outside the bedroom door, breakfast ok although scrambled eggs cold as griddle heater not on. 4 guys working but none even noticed until told. Very little atmosphere as none of the 4 waiting staff managed eye contact. Big contrast to the other more intimate and friendly places we have stayed on during our first 8 days (but it is a Best Western so I didn't expect much else but it wouldn't take much to get the tam to say hello or smile a bit). Has a secure car park. Went to La Luna to eat (recommend by front desk) which was average (see separate reveiw). Town pretty run down overall and not in a rustic or old world charm way just a bit tired and sad. "Very good hotel - good localisation!" We stayed 1 night at this hotel and we really enjoyed our stay there. The room was clean, quite big and the breakfast was really correct (sweet and salty food !). The hotel provides a free wifi which works perfectly well and the hotel is right in the center of the city (next to all the agencies and near the sea) The employees were very kind to us and help us to call an agency for an excursion since we did not speak Spanish at all! I would definitely recommend to anyone going there ! It's a nice enough hotel ... the staff was pleasant, the location was perfect for our needs (close to the Bus Sur depot) and the rooms were clean. But I felt like the prices were a bit high for the type of rooms we got ... cramped room with two twin beds, small bathroom, etc. I know that it's folly to compare international hotels to hotels in the states, but for the price this one didn't really measure up. Enjoyed my stay here. Not everything was fantastic though, I love my coffee in the morning and the coffee supplied here was very substandard, pre-made in an urn. My fav breakfast is poached eggs on toast; forget about it, not happening. Great staff, always pleasant. We stayed for seven days. The staff were very helpful, friendly and most could speak English. The room had a huge bed which was very comfortable, and the room was very clean and tidy. WIFI worked a treat well recommend the Finis Terrae Hotel. only three buildings away from the high street and the cambio is just across the road so everything is nice and close. The rooms were clean but the service and attitude of the reception staff were horrible. I would suggest you look at a different hotel. We spent 2 nights here a little over a week ago. There are many other hotels with better locations and better views. 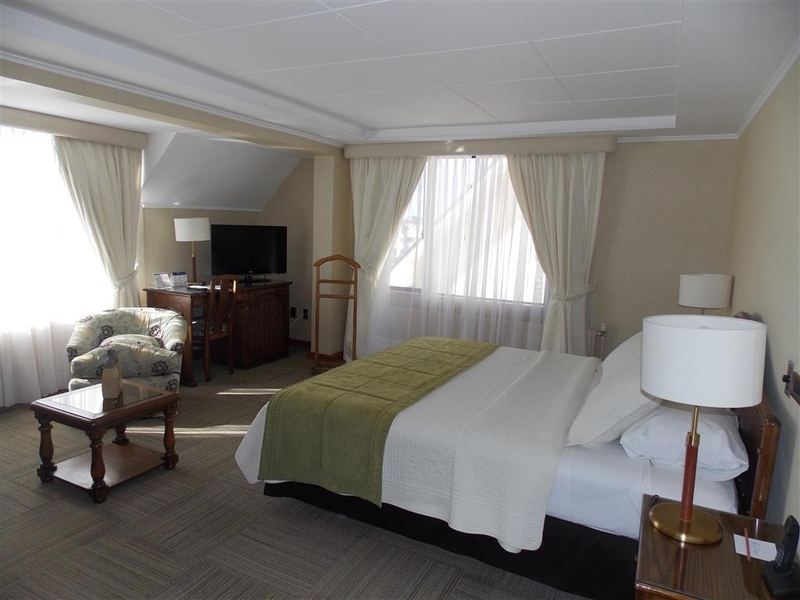 I would suggest if you are visiting Punta Arenas that you look at other accommodations. Stayed here on a quick stopover between landing in Punta Arenas and bussing to Puerta Natales to do some trekking. 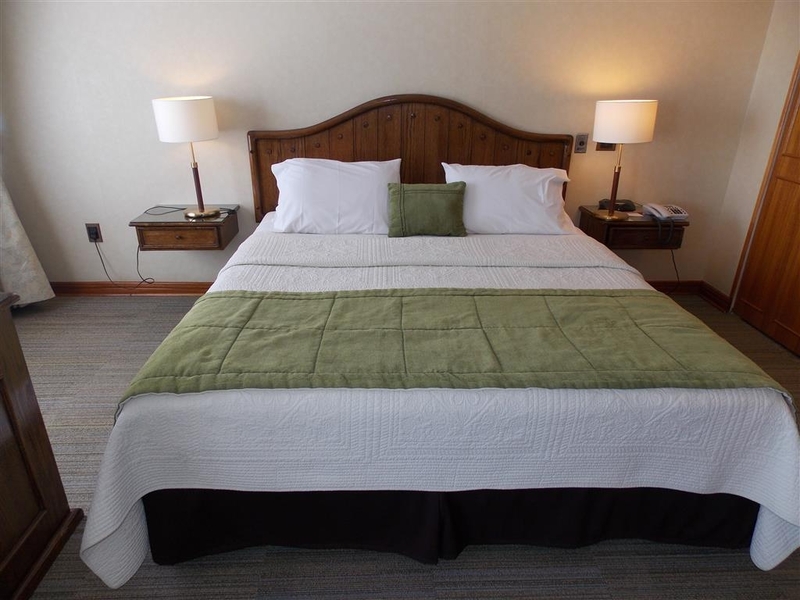 It was clean, the staff were polite and the bed was very comfortable - exactly what we needed after a loooong trip. Location next to bus station was incredibly convenient. The breakfast was plentiful and a nice variety of cereals, good pastries, omelettes, bread with marmalade or meat and cheese, and fruit. Only downside, wifi was annoying as it had a separate network for each floor, though the password was the same. Estimado Pasajero, agradecer su preferencia y opinión. Efectivamente nuestro hotel tiene una ubicación y vistas panorámicas privilegiadas. Nos esforzamos día a día, por brindar la mejor experiencia posible a nuestros pasajeros, que visitan la Patagonia. Esperamos poder recibirlo en su próxima estadía en Magallanes. Atte. La Gerencia. "Perfect location for bus - good hotel"
We chose Finis Terrae because of the reviews about its location. It is very close to the BusSur terminal. We arrived fairly late and had a 7:00 AM bus out and this was a good choice. The room was fairly large and clean. Breakfast was fair. But all in all - as advertised. Estimado Pasajero, agradecer su preferencia y opinión. Nos esforzamos día a día, por brindar la mejor experiencia posible a nuestros pasajeros, que visitan la Patagonia. Esperamos poder recibirlo en su próxima estadía en Magallanes. Atte. La Gerencia. The bed was amazing, it was generally clean, with a great bar. The place is expensive given the low cost location and the infrastructure and no AC (you can open the window). Probably as good as you can get here. Stayed two nights at the end of May with a friend. The staff on reception were all lovely, and while some didn't speak too much English, they tried their best and were always smiling. 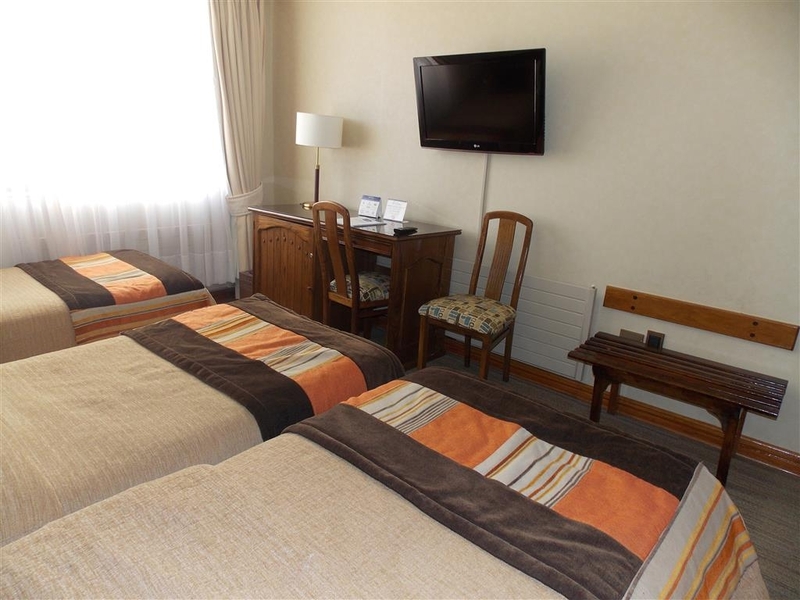 The hotel is located nicely in the centre of Punta Arenas, within walking distance of all attractions. We visited off-season, so the city as a whole was quiet, but enjoyed our stay. The room we had was quite small but was clean, warm and comfortable, and the bed was lovely - I slept well! The free wifi was fast. I can recommend Lomitos nearby for great steaks and burgers. "End of the world "
Everything here seems isolated. I have been in this hotel twice and the standard is ok. Rooms are small but cost. Great shower pressure and great location in town. Good heating in the rooms and ok tv. Internet is ok but slow and sometimes stop working. Staff is friendly but English is not always easy for them. Food is good and breakfast is included. Amazing view from the restaurant in the 6th floor. Rooms have an ok safe (use it) and a servibar (I did not even open it). Linen is clean and towels are fine. I would stay here again. Estimado pasajero, agradecer su preferencia y opinión. Efectivamente nuestro hotel tiene una ubicación privilegiada de la ciudad, la cual además brinda una vista panorámica hermosa de la misma. Hacemos un esfuerzo día a día para tratar de brindar el mejor servicio posible a nuestros huéspedes, intentando generar una experiencia grata y placentera de nuestra ciudad. Esperamos poder recibirlo en su próxima estadía. Atte. La Gerencia. 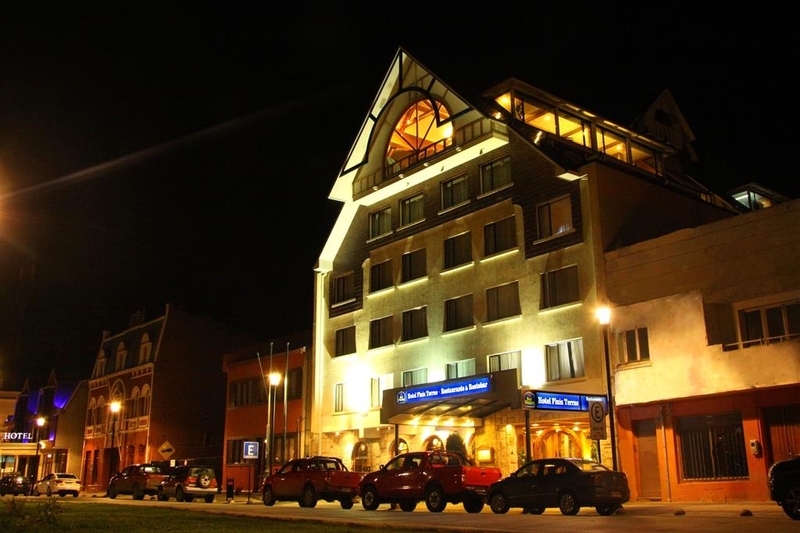 This hotel is right in downtown Punta Arenas and is a nice break from a hostel or after backpacking. The facilities are updated and very clean, and the staff is very friendly. However, I did try printing something and the paper and ink were out, but the staff was very apologetic and nice about it and even offered to use a USB stick to print it on their personal computers. The breakfast buffet was awesome and had a great selection of eggs, pastries, juices and fruits, and has great views of the city from high up on the 6th floor. My bathroom was a bit dirty (had lipstick marks behind the sink) but other than that it was clean and nice. Estimado Huésped, agradecer su preferencia y opinión. Efectivamente tenemos una ubicación y vista privilegiada de la ciudad. Nuestro personal está en permanente capacitación para dar solución a los requerimientos de nuestros pasajeros. Tenemos gastronomía de nivel internacional. Esperamos poder recibirlo en su próximo viaje al Punta Arenas. Atte. La Gerencia. I very much enjoyed my stay at Finis Terrae. It was very comfortable. The free breakfast was very good and the restaurant on the first floor was exceptional. I recommend the sushi. My only complaint was that the Internet was very intermittent. Overall very good value for money. Estimado Huésped, agradecer su preferencia y opinión. 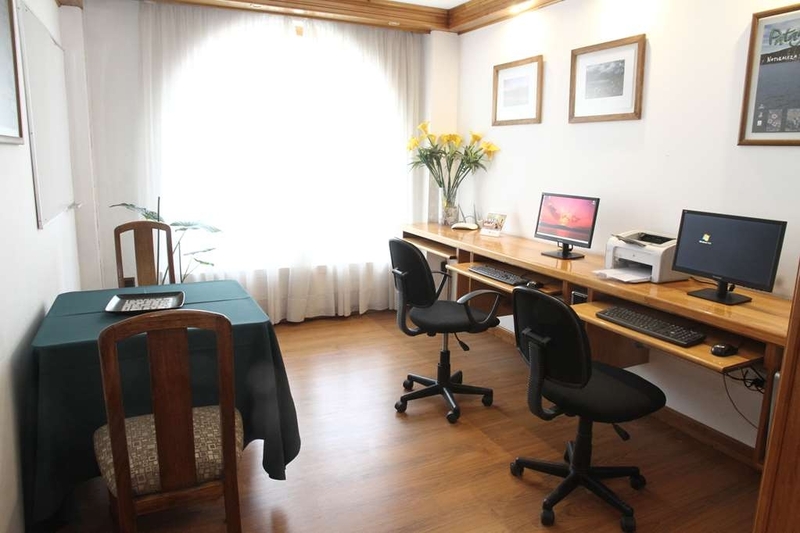 Efectivamente nuestro hotel tiene una ubicación privilegiada, una vista panorámica única y una gastronomía de nivel internacional Indicar que tenemos contratado, el sistema de mayor capacidad de fibra óptica para Internet, disponible en la región. Lamentablemente a veces existen problemas de conexión a nivel de la región, con el resto del país. Agradecer nuevamente su preferencia, esperamos poder recibirlo en su próxima estadía en Patagonia. Atte. La Gerencia. The 4 stars may be for the lobby, but definitely not for the room. My one was very small, smelly and noisy. The shower is only for people <1.80, watch your head. Breakfast does also not deserve four stars, they don't even offer palta. Staff is partly incompetent and some are unfriendly. The place is definitely not worth the high price, there are much better options in Punta Arenas. Stayed here as a stopper over between the Atacama and Torres de Paine. Staff helpful, rooms large and clean, breakfast had lots of choices. 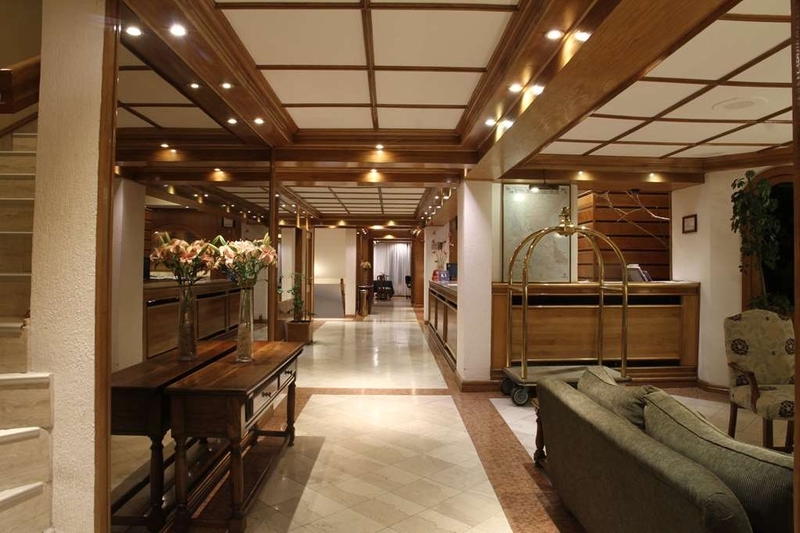 The hotel had an attractive reception area and bar and offered a complimentary drink on arrival. View from the breakfast room on the 6th floor was lovely. Estimado Huésped: Agradecer su preferencia y opinión. 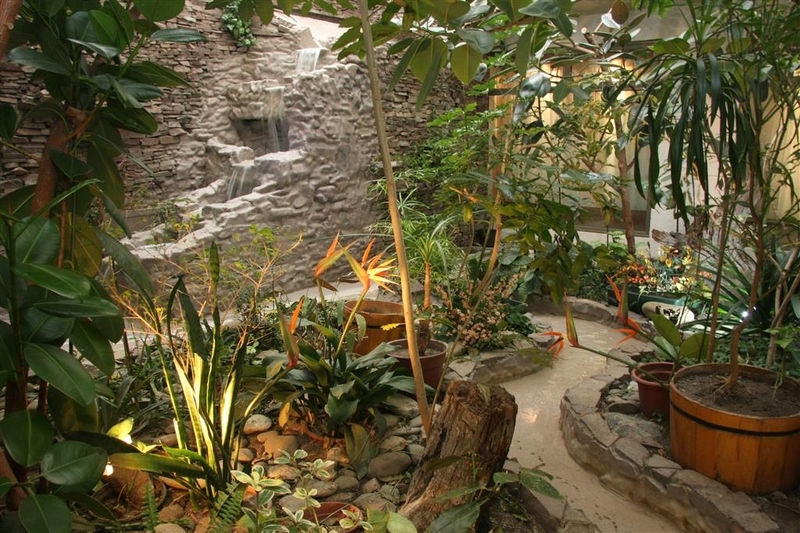 Nuestra misión es que los pasajeros de nuestro hotel tengan una experiencia satisfactoria en su estadía. Esperamos poder recibirlo prontamente en nuestro hotel. Atte. La Gerencia. The Hotel Finis Terrae had everything I needed for my stay in Punta Arenas-- good hot shower, comfortable bed, free breakfast buffet, central location,cable TV, room service, good wifi, and a business center. The staff was very accommodating. The staff spoke English. My room included an iron and ironing board, and hot water pot for tea. The hotel compares favorable with other USA business-oriented hotels I have stayed in, plus the Chilean hospitality. Recommended! "Old and overpriced with rude staff." A complete refurbishment and overhaul of this hotel is long overdue, and seriously damages The reputation of the Best Western Chain. Staff need training in customer service. I spent 2 long nights at this hotel in a dark, very small dingy room with 60's style furniture which was falling apart. A single bed with an old soft mattress and topped off with old stained blanket which was a health hazard, so I took it off and slept with just the sheets, which were clean. I was ill and didn't dare complain as the front desk staff didn't understand English and were unhelpful to the point of rudeness. Next day although booked in indefinitely, I got a call to my room at 5 pm. telling me over and over that I was required to vacate my room right NOW. On going down to reception to find out what was going on, there was a sullen silence, no explanation, no apology! I got out of there as fast as I could next day. The experience cost USD 135 per night for B&B For one person in a single bed, in a cramped room that would not be our of place in a old hostel, all in all,this had to be one of the worst hotel experiences in my many years of travelling. Estimado pasajero, agradecer su preferencia y opinión. Efectivamente como Ud., señala somos parte de la cadena internacional Best Western. En ese orden de ideas, comentarle que durante nuestra última fiscalización de estándares de calidad, -enero 2016-, fuimos calificados con una de las mejores puntuaciones posibles, siendo uno de los hoteles evaluados con excelencia, en limpieza y aseo de habitaciones. Tomamos nota de su opinión. Además agregar que nuestro equipo de mantenimiento trabaja 365 días del año, arreglando hasta el más mínimo detalle de nuestras instalaciones. Nuestro equipo de reservas está en permanente capacitación. Lamentar que nuestra decoración y ambientación no haya sido de su agrado. Efectivamente nuestro hotel, no tiene una ambientación ultra moderna. Su mobiliario es más bien clásico, de inspiración montañesa. Por otra parte comentar, que nuestro hotel tiene habitaciones, de variados tamaños y tarifas. Agradecer nuevamente su estadía y opinión. Atte. La Gerencia. We only had one night here and the hotel was satisfactory. Right in the middle of restaurants, and near the waterfront , We had a second floor room with no view- just looked on to another roof. This photo was taken in the street near the hotel. An electricians nightmare. Hotels in many parts of Patagonia can be hit or miss and the room rate is often no reflection of quality. Punta Arenas does have better lodging, but for value for money the Best Western Hotel Finis Terrae can't be beaten, Centrally located, the small rooms (compared to the US) are clean and the room amenities good. The wifi is free and quick. The hotel staff are fine, but have a degree of indifference to service common in Chile - just let it go. They will get you to your room. Breakfast is adequate and typical of this level of hotel - cold cuts, scrambled eggs, cakes etc. There is no gym, but Punta Arenas has a great paved waterfront walkway for running - remember one way will always be into a strong wind. Nothing oustanding. Nice, but for the money i expected much more. Expensive. Breakfast could use some vegetarian choices. The service was ok though, nice people. If you can, go to a good hostal. It is cheaper and there are good choices around. Estimado pasajero, agradecer su preferencia y opinión. 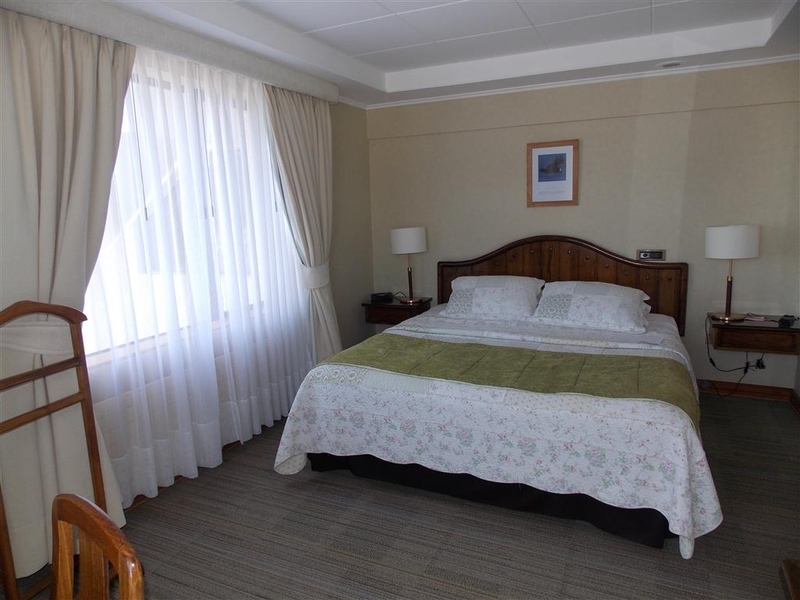 Le comentamos que nuestro hotel tiene habitaciones de todos los tamaños y valores, y nuestros precios corresponden a una tarifa transversal de mercado, para un hotel de 4 estrellas en la ciudad de Punta Arenas. Tomamos nota del desayuno. Nuestro desayuno buffet, servido en el restaurante Panorámico, con la mejor vista de la ciudad, es el único desayuno en la ciudad que empieza a las 06:00 Hrs., y tiene la mejor variedad de productos disponibles, lo que incluye una inmensa alternativa de ítems vegetarianos, como fruta fresca, tomate, champiñones, Etc. Nuestro personal está en permanente capacitación, La ubicación de nuestro hotel es maravillosa. Esperamos poder recibirlo en su próxima estadía. Atte. La Gerencia. The bar smelt of cigarette smoke, and the TVs were on far too loud, but the worst was the service. The bar girl was more interested in cleaning glasses than fetching a beer out of the fridge. The hotel has a good location but it is in dire need of some updating; and staff training. Estimado pasajero: Agradecer su estadía, preferencia y opinión. Le comentamos que nuestro hotel Best Western Finis Terrae, es un recinto 100% libre de humo de cigarrillo. Tanto en las áreas comunes como en las habitaciones. 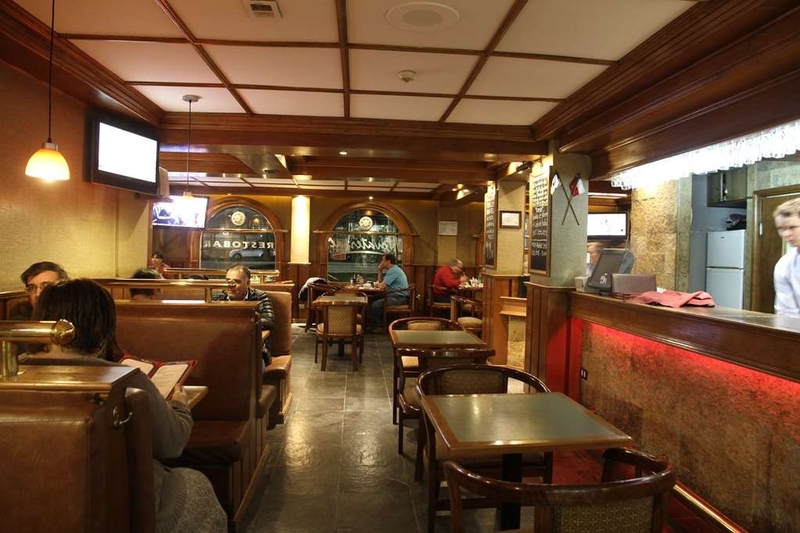 Fumar en Chile dentro de un bar o restaurante, está penado por ley. Lamentamos su molestia con el volumen de la música de la TV en el bar del hotel, generalmente tratamos de que se encuentre a un nivel adecuado. Tomamos nota de su observación. Le comentamos que nuestro personal está en permanente capacitación. El hotel se encuentra en permanente mantenimiento, los 365 días del año. Nuevamente agradecer su preferencia, efectivamente tenemos una ubicación privilegiada en la ciudad. Esperamos poder recibirlo nuevamente en su próxima estadía. Atte. La Gerencia. Every time I have travelled to Punta Arenas I have stayed at this hotel. This past December was my last time. Will never stay there again. The staff is nice and try hard, but the owner does not think that having two people in reception is good. He only has one poor person who has to deal with everything. The rooms are not what are described on the website. It was an extremely disappointed experience. I spent more than three hours trying to check in. The manager does not show her face when requested to talk to her. Ido not recommend this hotel. 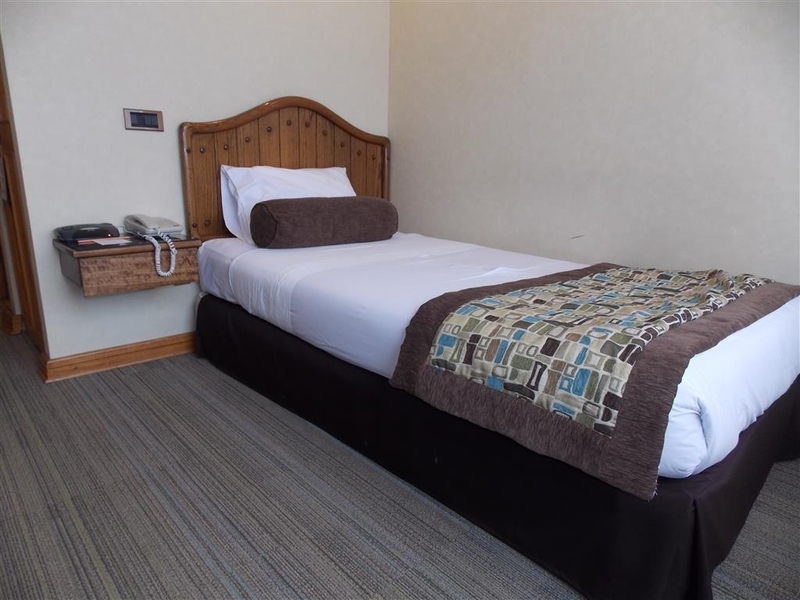 "Tiny room in a good location"
The hotel is ideally located in the heart of downtown and has a fine restaurant. But the rooms are small and somewhat obstructed. For instance, there is more room in an average airline economy seat than on the Best Western toilet. Be especially aware of a TV that folds out from the wall and can bump the head of anyone who stands over 4' 10". Otherwise clean and comfortable. Limited parking (8 slots). Good bar downstairs. We loved our stay. The Best Western is in a good location . A short walk to the town centre, bus stops( especially if you are using Bus Pacheco) and to good restaurants . We found the service polite and pleasant. The rooms were yes, dated but clean and good enough for a short stay. The breakfast buffet was on the 6th floor with somewhat of a view and adequate. Yes, its not an international spread but is more than we expected from this . Overall, pleasant stay and we will recommend to travellers looking for a convenient, not too expensive, and good enough accomodation. Estimado Pasajero, agradecer su estadía y opinión. Efectivamente nuestro hotel tiene una excelente vista y ubicación, cercano a muchos sitios de interés. Trabajamos permanentemente en la capacitación de nuestro personal, en orden de dar un servicios a nuestros huéspedes educado y profesional. Nos esforzamos por tener una gastronomía de nivel en nuestro Restaurante y en nuestro Restobar, ojala haya podido disfrutar de ellos. Nuestro desayuno buffet es muy variado y delicioso, y como Ud., indica se sirve en el sexto piso, con una vista panorámica a la ciudad, lo cual es muy grato. Esperamos sinceramente poder atenderlo nuevamente, en su próxima visita a la ciudad. Atte. La Gerencia. Estimado huésped, agradecer su preferencia y opinión. Todas nuestras habitaciones son no fumadores. Por lo anterior, le comento que por política del hotel y según la legislación chilena vigente, ningún pasajero puede fumar dentro de nuestras instalaciones. Efectivamente nuestro hotel tiene una excelente vista y ubicación. del mimos modo nuestro personal se esmera en dar un servicio humano y preciso a todos nuestros pasajeros. 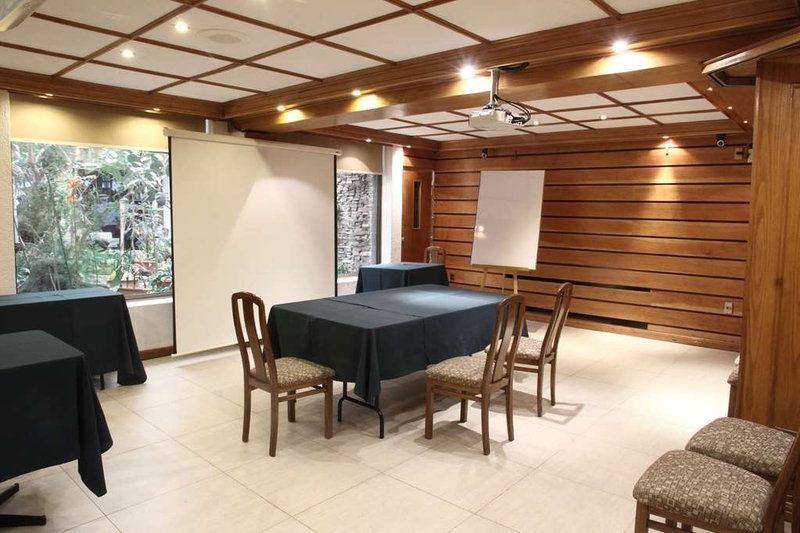 Le comento que nuestro hotel está en permanente mantención y remodelación de habitaciones y áreas comunes. Nuevamente agradecer su opinión, y esperamos poder atenderlo nuevamente. Atte. La Gerencia. "Lousy service and Tiny rooms"
Off to a bad start with a terrible check in experience - we were only a group 8 (4 rooms) but they were very disorganized and took ages. English is non-existent - for a Best Western in a busy centre I would expect at least one front desk staff to understand a little bit.. One room (of 4) stank of sewage, We had to wait more than an hour to get another room. which made us late for our scheduled dinner. As part of check in they gave us coupons for a very lousy Pisco Sour drink in the restaurant. The breakfast is stale pastries, canned fruit. Pretty unappetizing. The hotel rooms are dusty, blankets old and stained. the linens are nice fresh & white though. The hotel in general is very run down and grubby feeling. There is really not much to recommend at this hotel other than it is a good central location. Estimado pasajero agradecer su opinión. Le comento que el tema del olor a aguas servidas, se produjo lamentablemente, por factores ajenos al hotel, y no internos, por lo cual sólo podemos lamentar la situación, y esperar que no se repita. Le señalo que todos nuestros recepcionistas hablan inglés, las habitaciones son arregladas permanentemente por nuestro personal de mantenimiento, aseadas en profundidad a diario, y nuestra ropa de cama y frazadas son nuevas, todo lo anterior por protocolo; sin perjuicio de lo anterior, tomaremos nota de su observación. Agradecer su opinión. Atte. La Gerencia. "Good value for your money." Nothing fancy about the place but a decent breakfast, clean rooms (maid would actually fold every piece of clothing left out of a suitcase and put your toiletries away for you! ), and perfect location makes it an easy pick. Only complaints would be noisy cleaners in the mornings and worst service ever at a hotel lobby bar. In other words, if you want to sleep in or drink at the hotel, recommend looking elsewhere but if an early riser and wanting to explore elsewhere for a pint, quite acceptable. Estimado pasajero agradecer su preferencia y opinión. El horario de limpieza del hotel, comienza a las nueve de la mañana, el desayuno es hasta las 10:30 hrs.. 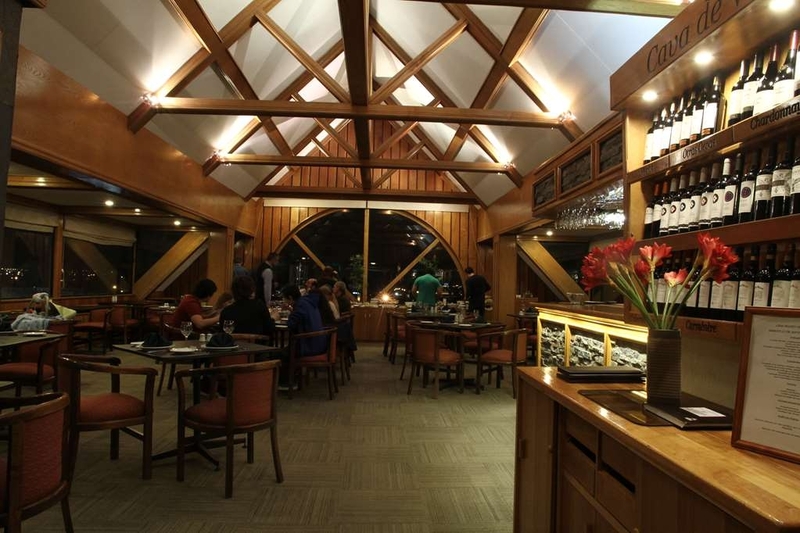 Le comento que estamos estrenando a nuestro nuevo chef internacional, por lo cual le recomiendo en su próxima visita a Punta Arenas, venir a nuestro Restaurante Panorámico o al Restobar Novaterrae, no se arrepentirá. Agradecer su análisis de precio y calidad, respecto de nuestras tarifas, el cual compartimos. Atte. La Gerencia. 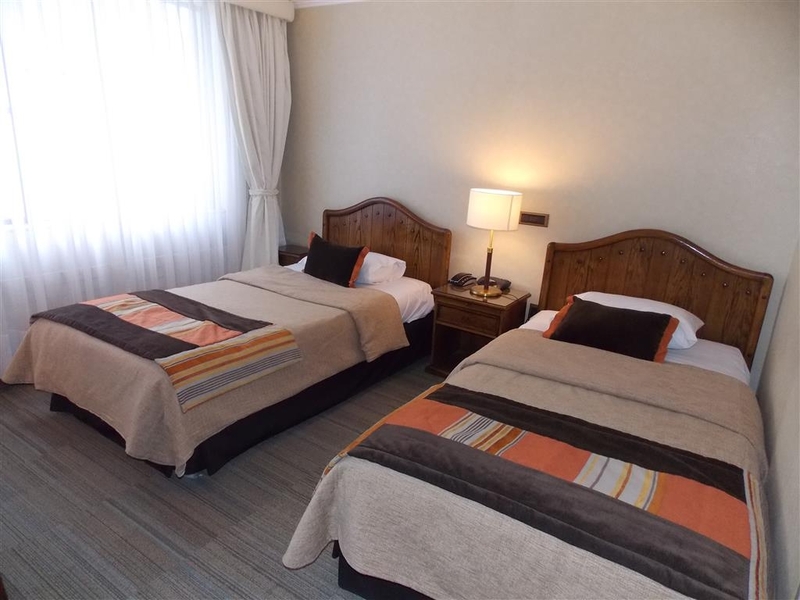 "Great staff - convenient location - highly recommend"
For a one night stay enroute to Patagonia, we chose the Best Western Punta Arenas, great choice by US Travel Center for us. Perfect location, central for touring, clean, very good restaurants and an excellent staff. Rooms were very adequate and we truly enjoyed our stay. Estimado pasajero, agradecer su opinión y preferencia. Efectivamente, nuestra cadena esta sujeta a las normas internacionales de Best Western, por lo anterior brindamos un servicio estándar en todo el mundo. Esperamos recibirlo nuevamente en nuestro hotel. Atte. La Gerencia. Good location in centre of shops, near waterfront. Very helpful staff, limited English, but my Spanish is even more limited. Room clean and comfortable, plumbing a bit slow. Excellent Free WiFi. Ate in bar, snack a huge hamburger! Estimado Pasajero, agradecer, su opinión, estadía y preferencia. Esperamos poder atenderlo nuevamente en su próximo viaje a Punta Arenas. Atte. La Gerencia. "Very nice staff and great breakfast buffet!" Very helpful taff especially for tours to Patagonian Andean parks. Rooms nice ...no fridge. Business center very good...........................................................very very nice staff and laundry. The room, location, and breakfast were all great. The staff were OK, but probably could use a little refresher on customer service. We had a room facing the main street but it was never noisy at night. It's within short walking distance to great restaurants and tourists sites. Estimado cliente gracias por su estadía y preferencia. Atte. Gerencia. "Good place for business stay"
Good place, good location, can walk to restaurants, walked to work down at the pier. Good, early breakfast; good internet; good laundry service; quiet location. Good lounge. Light meals, bar. Upstairs restaurants has great view; good way to start each day. Estimado cliente gracias por su opinión, estadía y preferencia. Atte. Gerencia. I I had to travel to Ushuaia to join a ship for an Antarctic cruise and stayed here before and afterwards. 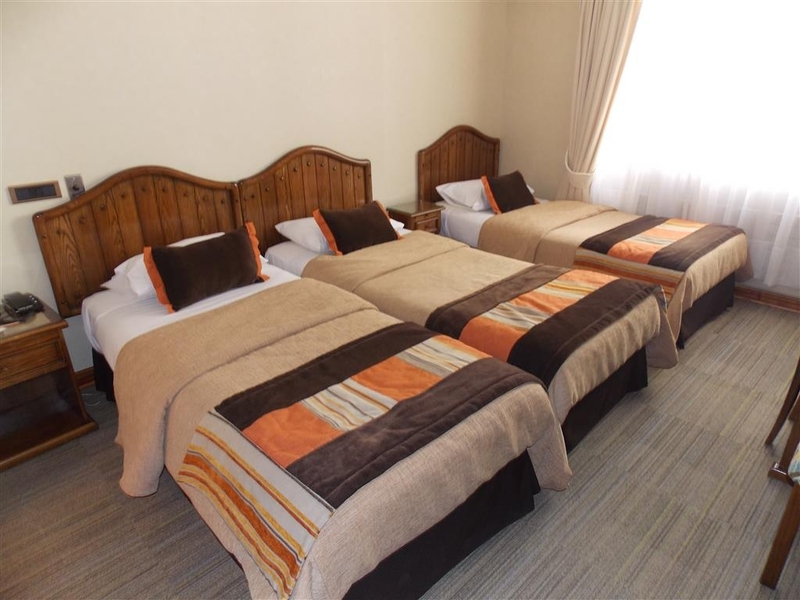 It is a centrally located hotel, within walking distance to the bus station. 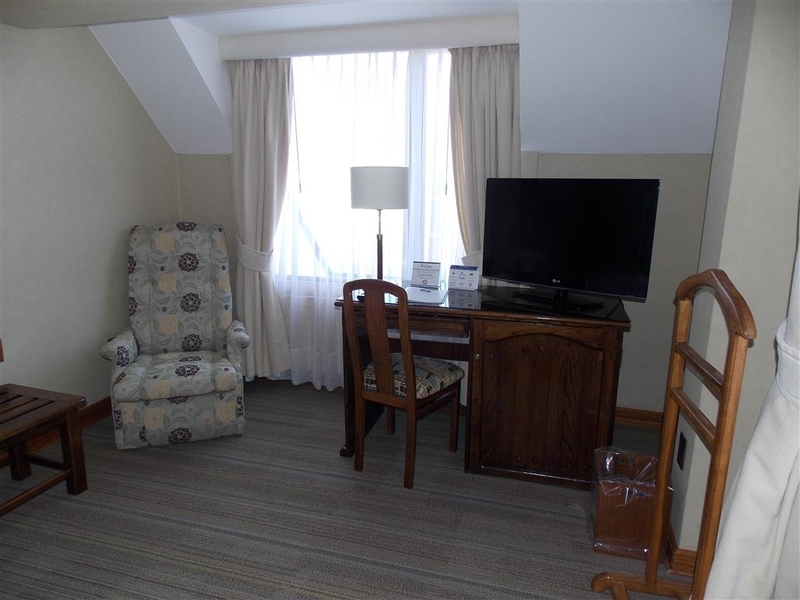 The staff are very friendly, comfortable and most of all quiet rooms.